TOKYO — Japan’s new nuclear regulator adopted a fresh set of safety guidelines on Wednesday, starting a process that could allow some of the country’s idled reactors to come back online early next year. Prime Minister Shinzo Abe has been pushing to restart some of Japan’s 50 commercial reactors, all but two of which remain idle amid public anxiety over nuclear safety in the wake of the 2011 Fukushima disaster. To quell those concerns, the Nuclear Regulation Authority, set up last year, has been drawing up new safety standards that would better protect Japan’s commercial reactors from natural disasters and terrorist attacks. The country’s previous regulator was replaced after widespread outrage over its lax approach to safety, as well as its close industry ties. The new regulator said it would start accepting applications on July 8 from power companies seeking to restart their reactors. Seven companies have said they would apply to restart a total of 13 reactors across Japan. These safety standards are legally binding, unlike previous guidelines that were not backed up by law and were adopted by nuclear operators on a voluntary basis. They also address, for the first time, the possibility of severe accidents like the Fukushima meltdowns. Separately, the nuclear regulator has been conducting studies of earthquake fault formations under six nuclear power plants across Japan. Last month, it concluded that a reactor in Tsuruga, in western Japan, stands above an active fault, a finding that could lead to the first permanent shutdown of a reactor since the disaster. More such findings could follow. It remains unclear whether these standards go far enough to quell lingering public fears over nuclear power. In a poll of 1,781 people conducted by the Asahi Shimbun daily on June 8 and 9, 58 percent of respondents said they opposed restarting the country’s reactors, while just 28 percent said they approved. The authority’s meeting on Wednesday, which was open to the public, was disrupted several times by shouts of “Listen to the public!” and “No reactor restarts!” from the audience. Still, the agency faces considerable pressure from Japan’s power industry, pronuclear businesses and Mr. Abe’s governing party to allow more reactors to restart. Japan relied on nuclear energy for about a third of its electricity needs before the disaster, and nuclear proponents argue that the ensuing energy shortfall and surging fuel import costs are hurting the economy. Tagged with Capitalism, energy policy, nuclear regulation, restart. The Atomic Age is an ongoing project that aims to cultivate critical and reflective intervention regarding nuclear power and weapons. We provide daily news updates on the issues of nuclear energy and weapons, primarily though not exclusively in English and Japanese via RSS, Twitter, and Facebook. 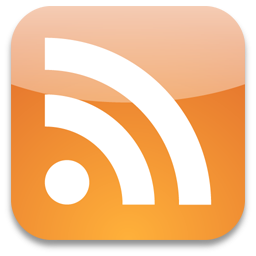 If you would like to receive updates in English only, subscribe to this RSS. A nuclear power plant in Byron, Illinois. Taken by photographer Joseph Pobereskin (http://pobereskin.com). The artwork in the header, titled "JAPAN:Nuclear Power Plant," is copyright artist Tomiyama Taeko. This website was designed by the Center for East Asian Studies, the University of Chicago, and is administered by Masaki Matsumoto, Graduate Student in the Masters of Arts Program for the Social Sciences, the University of Chicago. If you have any questions, please contact the Center for East Asian Studies, the University of Chicago at 773-702-2715 or japanatchicago@uchicago.edu.